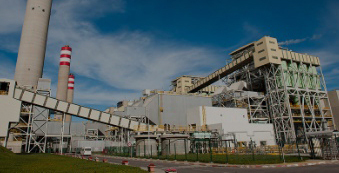 To help address the energy challenges of the Kingdom, TAQA Morocco is continuing its growth strategy by the extension of the existing coal fired power station with two new production units of a capacity of 700 MW, thus bringing the power station's total capacity to 2,056 MW. This extension is part of the agreement signed on 12 May 2009 between TAQA/TAQA MOROCCO and the Office National de l'Electricité et de l'Eau Potable (ONEE) in the presence of His Majesty King Mohammed VI and His Royal Highness Crown Prince of Abu Dhabi, Sheikh Mohammed bin Zayed Al Nahyan. JLEC 5&6 will provide reliable power within a quick timeframe, meeting the objective of the ONEE to secure the electricity supply in the country. With units 5&6 the power station also benefits from the extension and improvements of the coal terminal and coal storage facilities: mobile unloaders and scrapers, conveyors, a stacker, and the improvements in conveyor performances for an unloading capacity of over 7 million tons of coal. 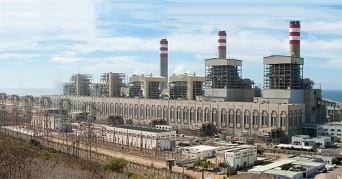 The extension of the power station benefits from its own liquid effluent and smoke treatment installations which represent an investment of over 200 million dollars. A desulfurization system has been implemented to treat the smokes, as well as a strict and continuous monitoring of emissions from the chimneys. The Jorf Lasfar Energy Company 5&6 (JLEC 5&6) represents the most important project over the ten last years in Morocco, raising the equivalent of USD 1.4 billion in multi-currency project financing with a term of over 16 years. • Total investment: 1.6 billion USD. • 3,000 direct jobs and 2,000 indirect jobs during the building phase. • 135 direct jobs and 1,000 indirect jobs during the operational phase. • EPC Contract: Consortium of Mitsui & Co (Japan) and Daewoo Engineering & Construction (Korea). • Commercial Operation Dates : 15 April 2014 for Unit 5 and 7th June 2014 for Unit 6.